When we were in Joel last week, the final verse started me thinking on the subject of God’s power to cleanse sin. 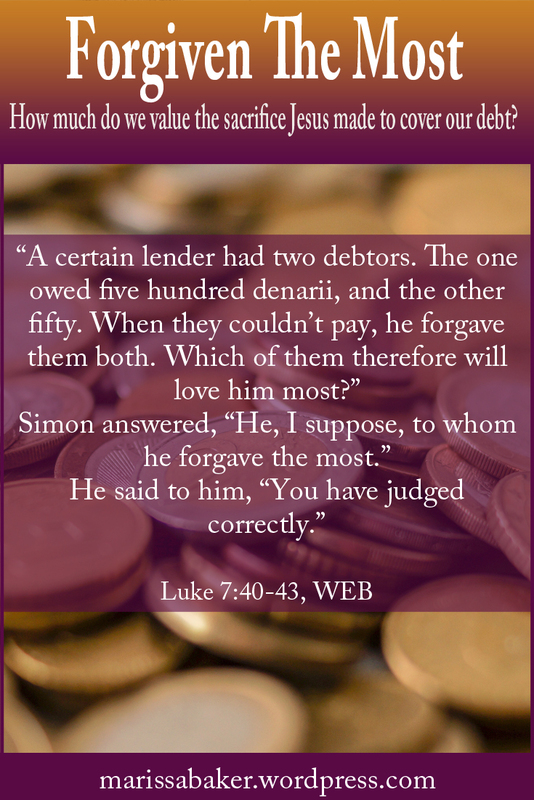 We know God forgives sin, but do we believe that He will really forgive us? Our sins have separated us from God (Is. 59:2) — will He really take us back? Or if we don’t think that about ourselves, maybe we think someone else’s sins are too big for God to forgive. This isn’t to say we should commit sins so we can love God more, but when we have sinned God delights in forgiving those who turn to Him. He wants to turn seemingly impossible situations and seemingly irredeemable people into something good. (As a side note, this is the verse that always pops into my head when I hear people say they doubt God could forgive someone like Hitler). God’s goal is for all the people He created to repent and be saved. There will be some who out-right reject Him (Rev. 20), and they will be punished, but what he wants is a restored relationship with all men. This is an amazing passage. It’s like God is inviting His people to sit down and talk things over with Him. That’s one thing I love about Isaiah — the honesty and genuineness of God revealed in His messages to Israel. He really bares His heart, telling them how much He cares and how much He wants them to come back to Him so He can forgive and bless them. He doesn’t cleanse us because we deserve it, but because He is love and because He’s in the business of restoration. Probably the most famous prayer for spiritual cleansing is David’s Psalm 51. This records how David asked for forgiveness after he committed adultery and murder, and because of his truly repentant heart God continued working with him even after these horrible sins. Hyssop is an interesting herb in the Bible. It’s used ritualistically as a cleansing or purifying symbol (Lev. 14:1-7, 33-53; Num. 19:1-6), likely because it was literally used as a cleaning agent. Today, we’re finding out that hyssop oil has measurable antibacterial, antimicrobial, and antifungal properties. Perhaps this connection with purification is why it was used at the first Passover. 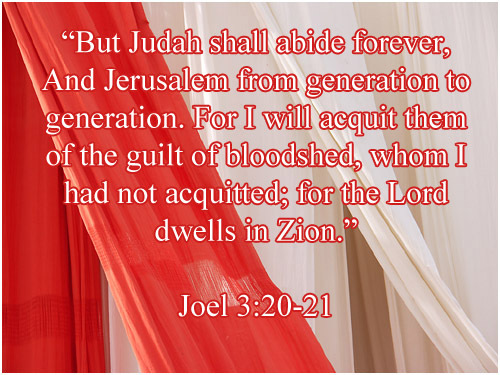 With the Passover picturing Christ’s death, the hyssop (John 19:29) and blood signify not just “passing over” sins, but also removing them completely. 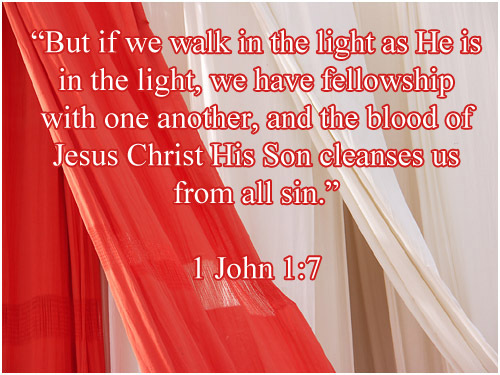 The means by which our “red as scarlet” sins are made “white as snow” is washing in the blood of the Lamb (Rev. 7:14). It makes sense, then, that the only sins we’re told God will not pardon involve rejecting Christ’s sacrifice (Heb. 6:4-6) and blaspheming God’s spiritual, redemptive Power (Matt. 12:31-32). You can’t be forgiven if you reject and hate the way to forgiveness. But that’s the only thing God can’t forgive. All those things we humans think of as the “worst” sins — the kinds of things David did, for example — those God can work with if we repent and ask Him to help us change. 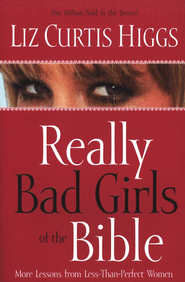 I’ve been reading a series of three books by Liz Curtis Higgs titled Bad Girls of the Bible, Really Bad Girls of the Bible, and Slightly Bad Girls of the Bible. The first book was decided upon for a book club at church, and once I’d finished it I tracked down the other two from the library. Higgs’ writing style is a little more informal than I usually like (I found myself skipping some of her “Lizzie style” commentary), but I like the short fictionalized stories that begin each chapter and bring the woman’s story into a modern setting. I also appreciate spending an entire chapter discussing the Biblical accounts verse-by-verse, and sometimes even word-by-word, since I don’t always take the time I should to really think about the people in the Bible. I’ll talk about the first two books in the series now, but I have enough to say about Slightly Bad Girls that I think I’ll save it for another post. Higgs’ reason for studying less-than-perfect women is that they can “show us how not to handle the challenges of life.” They can also be more relatable than women who seem perfect, and studying the weaknesses we share with women who stumbled can help us avoid pitfalls in our own lives. The women discussed in this book are Eve, Potiphar’s Wife, Lot’s Wife, The Woman at the Well, Delilah, Sapphira, Rahab, Jezebel, Michal, and The Sinful Woman. I was really impressed with the fiction in this book. Eve becomes a sheltered rich girl, Delilah is a hairdresser, and Lot’s Wife a woman who refuses to leave her home near Mount Saint Helens. 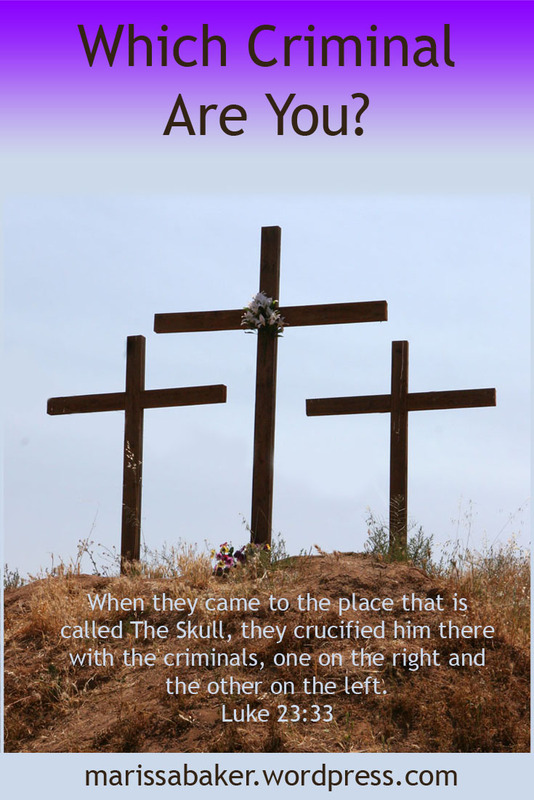 The fiction story for the Woman at the Well isn’t quite as well done, but it’s hard to come up with a modern fictionalized character to stand-in for Jesus so I think we’ll cut the author some slack. If the first Bad Girls of the Bible was all about grace, this second one is all about the sovereignty of God, the unstoppable power of God to accomplish his perfect will, no matter how much we mess up. This book covers the Medium of En Dor, Jael, The Adulteress, Athaliah, Bathsheba, Herodias, Tamar, and The Bleeding Woman. What struck me most about this book was the Bleeding Woman’s story (from Matt. 9:20-22; Mark 5:25-34; Luke 8:43-48). This woman was bleeding for twelve years — that’s 4,380 days, plus a few extra for leap years. According to Levitical law, she was ceremonially unclean the entire time (Lev. 15:19-27). She couldn’t touch anyone, and probably had to live alone because everything she came in contact with became unclean. Can you imagine people not even wanting to be in the same house as you for twelve years? I like solitude as much as the next introvert, but that’s way too much alone-time. When Jesus healed her, He took away not only her physical infirmity, but also her separation from other people. And He talked to her in public — not something teachers normally did with women, especially women who were still ceremonially unclean (Lev. 15:28-30). She is also the only woman in the Gospels who Jesus calls “daughter.” What an incredible story! When I started writing blog posts based on my study of Romans, I had intended each post to stand on its own. But this time, to avoid recapping half of last week’s post, I’m going to refer back to “Purpose of the Law.” As background for what I am about to write, the most important concept in that post is that keeping the letter of the law is not enough to earn eternal life. Obedience must be accompanied by faith. In both Romans and Galatians, the life of Abraham serves as a case study to illustrate justification by faith instead of by works. It is worth mentioning that true faith cannot exist without works. In Romans and Galatians, the point is that we are made righteous as a result of Jesus Christ’s sacrifice and our faith in Him. We cannot earn salvation by works, but works are a necessary part of faith. In the book of James, it is clarified that good works are an outward result of true faith, and that “faith without works is dead” (James 2:26). The importance of this concept is made clear in the following verses. 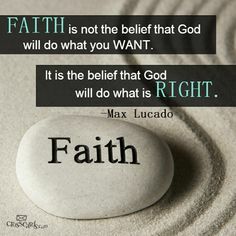 The promises God made to Abraham and to his descendants had to be “through the righteousness of faith,” because “if those who are of the law are heirs, faith is made void and the promise made of no effect” (Rom. 4:13-14). This expands the promises to include those who follow in Abraham’s righteous footsteps, not just his physical descendants. It also shows that being a physical descendant of Abraham is not enough to give you a place in God’s family, a fact Jesus Christ pointed out to the Pharisees (John 8:31-40). Each individual must demonstrate a righteous heart and be faithful to God if they expect to inherit eternal life. The people who stood out as examples of godly conduct in the Old Testament are not commended because they kept the letter of the law perfectly, but because they were faithful. Just look at David. He is described as a man after God’s own heart, yet his sins included adultery and conspiracy to commit murder. The point is that he did not continue in those sins, he repented and was forgiven, and moved forward in righteousness. For us, as with David, righteousness “shall be imputed to us who believe in Him who raised up Jesus our Lord from the dead” (Rom. 4:24). Jesus Christ’s sacrifice makes it possible for us to “have peace with God” and gives us “access by faith into this grace in which we stand, and rejoice in hope of the glory of God” (Rom. 5:1, 2). We are given a chance at eternal life, not because of anything we did, but because Jesus Christ’s sacrifice gives us the opportunity to be made righteous and live a life of faith and obedience.